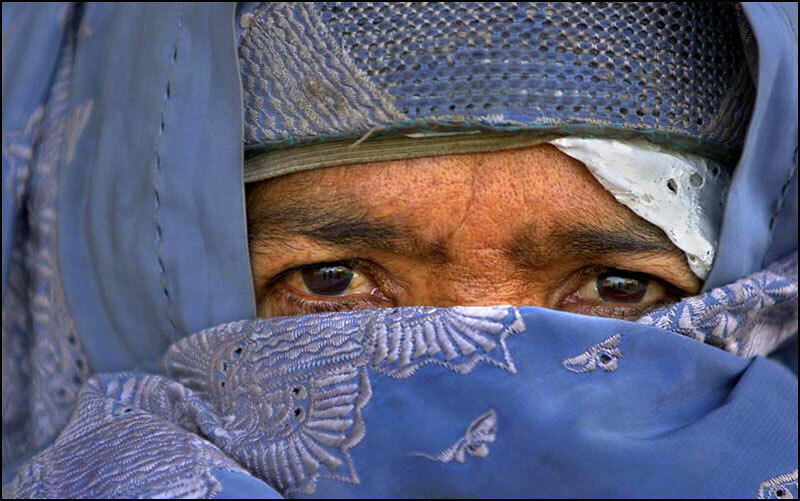 Razia, 56, fled her home near the Afghan capital of Kabul on October 5, 2001. She lost her husband and two sons in the war against the Soviets, and has escaped to save her youngest son. "Now that the United States itself has experienced some pain, maybe they can understand the situation in Afghanistan," she said. • Documentary, editorial, annual report and corporate photography. Image representation by Corbis. Clients include: PEW Charitable Trust; The New York Times; Big Yellow Taxi Design, New York; Samuel S. Fels Fund; Greenworks Philadelphia, Willie• Fetchko Graphic Design, Philadelphia; Community Action Partnership, Washington, DC; Money Magazine; The Forward; University of Pennsylvania; Haverford College Alumni magazine and Villanova University Law School. The Philadelphia Inquirer, Philadelphia, PA. 1993-2008. • Regional, national and international photography assignments. • Self-generated photo ideas on national and international issues. • Creating and shooting illustrations and studio assignments. • Responsible for photo report in regional news, sports and feature departments. The New Haven Register, New Haven, CT. 1984-1993. • Coverage of regional news events, feature and sports assignments. • Design and produce weekly picture pages. The Providence Journal, Providence, RI. 1983-1984. • Coverage of state and regional news in New England. • San Jose State University, San Jose, CA. • Bachelor of Science degree in Journalism with a concentration in photojournalism -1976. • Modesto Junior College, Modesto, CA. The Society of Professional Journalists, Sigma Delta Chi National Award for feature photography for work in Pakistan and Afghanistan in 2002. The Knight Ridder Excellence Awards, 2002 for work in Central Asia. First place honors from the South Asian Journalists Association for outstanding special project in South Asia in 2000 and again in 2002. Tobia has also received awards from Pictures of the Year, National Headliner Awards, Distinguised Visual Award by the Pennsylvania Newspaper Association Foundation and the National Press Photographers Association. • Temple University, 2009. "Journalism & Society. • PBS, WHYY, Philadelphia 2008. "Post-tramatic stress disorder." • University of Pennsylvania 2001, 2002. • Temple University 2002. • PBS, WHYY Philadelphia 2002. "Iraq: Images From a Troubled Land." • Community College of Philadelphia 2002. • PBS, NewsHour with Jim Lehrer Washington, DC 1998. "Brazilian Rain Forest." • San Jose State University, Fall 2002. • World Health Organization, Geneva, Switzerland “Polio: Eradication of a Disease.” 2002. • “Polio: Eradication of a Disease” UNICEF, New York, NY. 2002.